Finally finished this awesome blanket. I started way too many other projects and this one got missed for a while. The yarn used is Stylecraft and the colour recipe is here. The pattern is super easy and can be worked on while watching tv as it repeats after the second row. 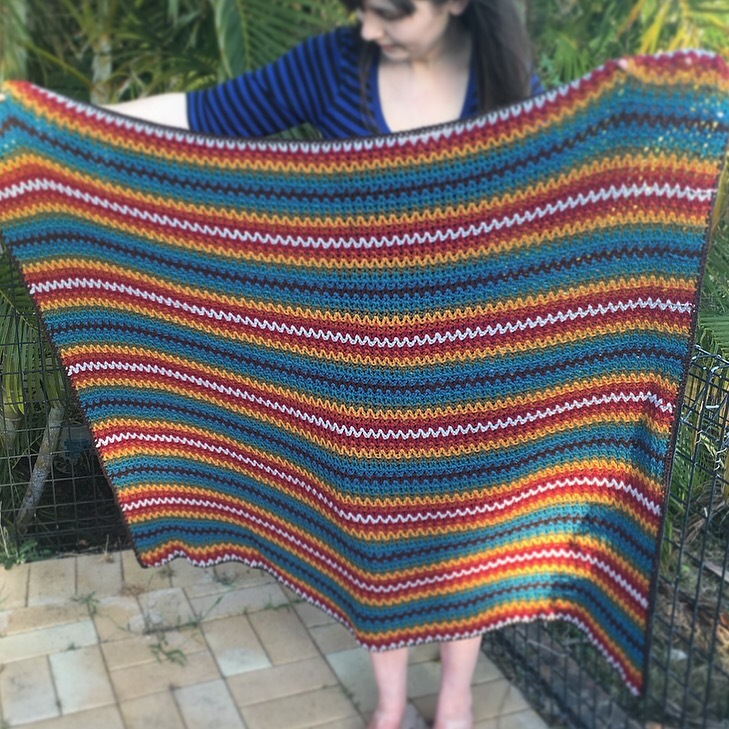 I was inspired by those awesome crochet blankets from the 70’s with their rich colours and bold lines. I used the same brown for a simple border to really hold everything together and make it feel retro.